In the span of nearly seventy years, Remat Chemie has evolved into a distiller renowned on the national and international markets. We are the go-to party for the distillation of waste, due to our expertise, facilities, and permits. Our clients originate from a variety of industries. There are different types of waste. This is why we use three distillation techniques. We use molecular distillation, fractionation, and barrel distillation to separate all conceivable solvents (alcohols, ketones, esters, aromatic and aliphatic hydrocarbons, acetates, glycols, and styrene) from other substances. The treated substances will be returned largely purified to their owner for reuse. The remainder is sold off. Any residuals go to waste treatment companies that can use them to recover heat, among other products. Molecular distillation is a single-stage distillation process in which solvents are separated from waste, such as paints, glues, and resins. Molecular distillation only separates the contaminants from the clean substances. For the rest, the mixture remains the way we received it. Yet, this technique allows us to separate solvents that have considerably different boiling points. Atmospheric or vacuum distillation is used depending on the product’s boiling point. Remat Chemie has five rotary evaporators. Fractionation is our specialism: This is what distinguishes us from everyone else in our industry. Mixtures are separated into their components through molecular separation in a distillation tower. The purpose is to raise the product above 99.5% so that it can be reused (like new). Fractionation can be applied to mixtures of liquids with large as well as small differences in boiling points. 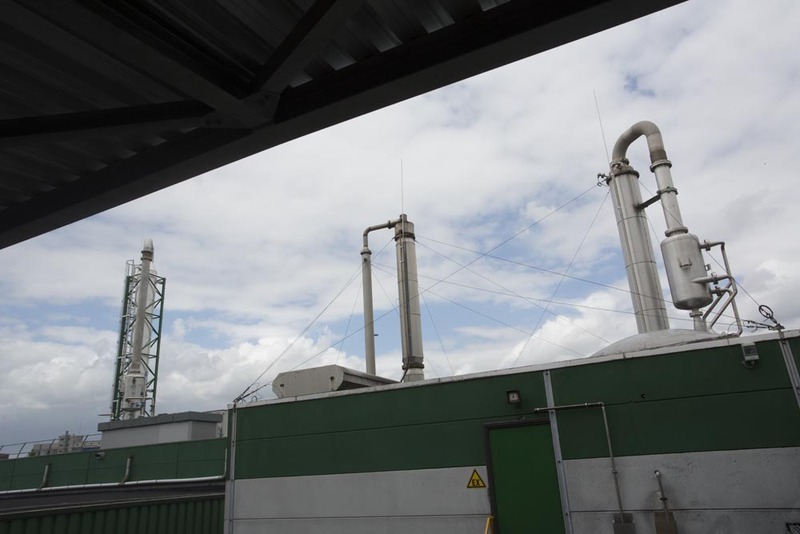 Remat Chemie has three fractioning towers using batch treatments. This is a unique system as we have developed and built it ourselves. We are able to distil products with a low boiling point directly from the barrels, namely four 200-litre barrels. Sale of new – reclaim. Preparation of all documents required for acceptance and transport. Environmentally responsible treatment and processing of your liquids. Clear feedback on the purification, separation and/or acceptance results. Contribution to your problem definition and to the identification of alternatives to reduce your problem. Analyses in accordance with the GC/Karl Fischer methods. 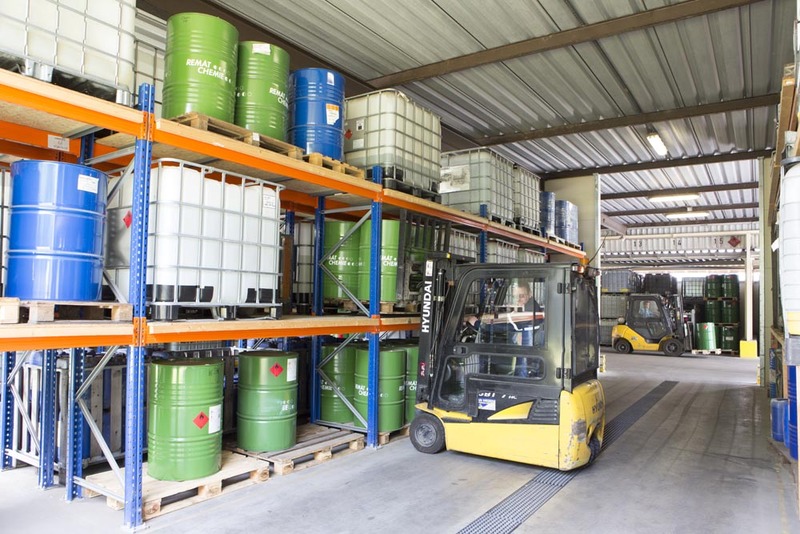 Storage: Remat Chemie has an overall storage capacity of 1,250 cubic metres, in accordance with the Hazardous Substances Publication Series guidelines. We accept, deliver, and distil all products mentioned hereafter. We can also produce special mixtures. If you have a product that is not on the list, we can always determine whether it is suitable for treatment by means of samples.